Knowing that we should live a healthy lifestyle is different to actually living it. With so many different opinions on what the right diet and the best foods are, knowing how to be healthy can be very confusing. For this reason, this article provides a simple list of 20 things that we can do to improve our health. No special diets or exercise routines required. Put simply; the more of these things we can adopt, the healthier we will be. It’s no secret that heavily processed foods are bad for us. Sadly, according to one study, the average American’s diet is comprised of 58% ultra-processed foods (1). Notably, a systematic review shows that the majority of studies find an association between ultra-processed food consumption and body fat (2). There are also links with chronic diseases such as type 2 diabetes and cancer when eating higher amounts of these foods (3). As a result, one of the easiest ways to be healthy is to focus on whole food options. Emphasizing whole foods beats all the quick weight loss plans and it is one of the simplest ways to improve our health. Rather than drinking some orange juice, eat a whole orange. Replace a hot dog or fast food burger with fresh meat and veggies. Instead of snacking on potato chips, opt for nuts, beef jerky or dark chocolate. Key Point: For better health, swap ultra-processed products for whole foods. Being healthy is about more than just the foods we eat. Resistance training (i.e. lifting heavy things) is one of the best ways to improve various health markers. However, if you think weightlifting is all about building muscle, then you would be wrong. Moderate-intensity resistance training lowers blood-glucose levels and increases insulin sensitivity; improvements to these health markers lowers the risk for many chronic diseases (4). Resistance training lowers blood pressure and lowers the risk of mortality from heart disease and stroke in metabolic syndrome patients (5). Studies suggest that resistance training also improves personal body satisfaction, body image, and social physique anxiety (6). To maximize the benefits, try to emphasize whole-body exercises (such as squats and deadlifts). High intensity interval training is also an excellent way to improve health. Key Point: Resistance training improves our body composition and self-confidence, and it helps lower our risk for many diseases. Knowing how to be healthy is about understanding which foods are healthful and which are detrimental. While some people can naturally recognize whether a particular food supports health or not, others find it difficult. For this reason, if buying packaged foods, it’s important to read the labels if you’re not sure about the ingredients. However, when you look at the ingredients, you will often find that the product is 95% sugar, wheat flour, and oil. In other words; the product packaging is just marketing, and the nutrition information is where the facts are. Key Point: The front of food packaging may make a product look healthy, but the ingredients list doesn’t lie. Maintaining a healthy weight is one of the most critical factors for our overall health. In particular, visceral adipose tissue (organ-surrounding fat below the skin) is believed to be a causative culprit in metabolic syndrome. Metabolic syndrome refers to the cluster of conditions that lead to type 2 diabetes and cardiovascular disease (7). For one thing, visceral fat secretes substances, known as ‘pro-inflammatory cytokines’, which encourage low-level systematic inflammation. Over the longer term, chronic inflammation has links to many diseases (8). While weight gain and obesity are sometimes related to hormones and medical conditions, they are predominantly due to a poor lifestyle. Watching total food intake, reducing consumption of refined carbs, sugars, and isolated fats (especially vegetable oils) can all help with weight loss. Additionally, implementing an exercise program alongside a healthy diet can be beneficial. Although diet is the single most crucial factor, systematic reviews show that exercise plays a vital role in reducing visceral fat (9, 10). Key Point: If we want to get healthier and lose weight, we have to be honest with ourselves. Does our current lifestyle support a healthy weight? Sugar and refined carbohydrates are prevalent in modern diets. Perhaps if people were consuming a teaspoon of sugar in their coffee, there would be nothing to worry about. However, the average adult in the United States consumes approximately 82 grams of sugar (20 teaspoons) per day (11). It is likely that such an intake contributes to various health problems. For instance, a recent meta-analysis of 39 studies shows that sugar worsens blood pressure and cholesterol profiles independently of any effect on weight (12). Sugar is a problem, but it isn’t the only one; people are also consuming vast amounts of wheat flour and other refined carbs. These foods offer virtually nothing in terms of vitamins and minerals, they may harm our gut health and they have links to various health problems. Key Point: We won’t become healthy if we’re living on sugar and refined carbohydrates. Replacing them with whole food options (fruit, veg, meat, fish, nuts) is a simple swap to improve health. A simple but sometimes neglected way to be healthy is to ensure adequate hydration. Some people live on soda and fruit juice, and others fill their day with coffee. While there is nothing wrong with enjoying coffee and tea, the optimal drink for our body is water. Not drinking enough water can lead to dehydration and a range of related problems, such as constipation and electrolyte imbalances (13). There is no real evidence supporting a specific universal water consumption for every individual. That said, we can often hear advice to drink eight glasses of water per day. This figure is probably reasonable, but in truth, our body has an excellent system to modulate our water intake. If you feel slightly thirsty, it is your body’s way of telling you to drink some more water. It’s probably a good idea to listen to it. Key Point: Adequate hydration levels are important and affect every system of our body. Over the past century, there has been a rapid decline in home cooking. The simple fact is that people are more likely to eat healthier at home than they do when they eat out. Specifically, home cooked dinners are associated with an overall healthier dietary pattern for a lower expenditure (14). Unfortunately, people are eating out more than ever these days. As a result, emphasizing more home cooking is a good way to get healthier. The key is that if you cook at home, you can control the ingredients you eat. For example, restaurants often use cheap cooking oils which are not supportive of good health. Key Point: Eating out for convenience often comes at the expense of good nutrition. Making more time to cook at home is a healthy lifestyle choice. It is always surprising how many people know the importance of sleep, yet totally neglect it. It isn’t unusual to see intelligent people who invest a tremendous amount of effort into a healthy diet and exercise routine, yet continue with terrible sleeping habits. And for those that are unaware, poor sleep doesn’t just cause tiredness; it can cause all sorts of health problems. Markedly, studies suggest that lack of sleep leads to an impaired ability to regulate blood glucose and increases insulin resistance. Furthermore, sleep-deprived adolescents have a larger waist circumference than those getting adequate rest (15, 16). Additionally, a recent meta-analysis found that poor sleep is associated with higher levels of CRP (a marker of inflammation) (17). Chronic low-level inflammation is key to the etiology of many chronic diseases, so this demonstrates just how important sleep is. Key Point: Ensuring we get sufficient sleep can drastically improve our health. We’re always being told to move more, and this is some advice that we should listen to. Significantly, leading an active lifestyle with lots of movement positively affects a wide range of health markers. The more active we are, the more control we have over blood glucose and insulin levels. Also, measures of inflammation are higher in people who are more sedentary (18, 19). However, this doesn’t mean that we have to be active all the time, and a reasonable amount of sedentary time appears to be okay. For example, a recent meta-analysis of nine studies featuring 720,425 participants found that sedentary time increases cardiovascular risk only at very high levels – more than 10 hours of sedentary time per day (20). Fortunately, getting some active time into the day doesn’t have to be too hard. Making time for simple, healthy habits such as taking a walk or going for a 10-minute run may require some planning, but they are essential for our health. Key Point: There isn’t anything to fear about sitting down, but we shouldn’t do it all day long – movement is important. Due to the decades-long demonization of dietary fat by the media, many people needlessly restricted fat. However, two specific fats have strong evidence of harm behind them; trans fats and vegetable oils. Rigorous trials and systematic reviews demonstrate that trans fat is a significant risk factor for cardiovascular disease (21, 22). Trans fats tend to be found in fast food, donuts, cookies, and other such snacks with a long shelf-life. Furthermore, there is evidence that “vegetable” oils such as soybean oil, sunflower oil, and canola are unstable and release toxic compounds when heated. These fats have the added disadvantage of being excessively high in omega-6, which is causing widespread imbalances in the omega 6 to 3 ratio (23, 24). One of the simplest ways to be healthier is to cut these foods out of our diets. Key Point: While fats naturally found in food are supportive of good health, industrially processed trans fats and vegetable oils are not. Low carb diets are trendy in recent times, and I’m a fan of them myself. However, sometimes we can see misinformation and fear-mongering about specific sources of carbs. Unquestionably, reducing our intake of sugar and refined carbohydrates is only a positive thing for our health. However, science doesn’t support the idea that all carbohydrates (i.e. fruit and vegetables) are unhealthy. There are no rigorous, systematic studies showing that fruit and vegetables are harmful. In fact, the large-scale PURE study, which itself is supportive of low-carb diets, found that people with the highest fruit intake had the lowest cardiovascular risk (25). For those on higher carb diets, the importance of carbohydrate quality matters even more. Focusing on fibrous carbohydrate is a much healthier way of living than subsisting on the ultra-processed grain products that dominate the Western diet. That is presuming that you don’t over-consume it. Key Point: Whether we prefer a low-carb or high-carb diet, carbohydrate quality matters. As the saying goes, all work and no play makes Jack a dull boy. Added to that, it also heightens levels of stress, anxiety, and increases the risk for depression (26, 27). While work is vital in our lives, we need to make time for the activities we enjoy. These could be as simple as playing a sport, pursuing a new hobby, having a wine and cheese night with friends, or visiting some new places. Should someone feel stressed, even making a list of things to look forward to can provide some relief. For those who enjoy the countryside, there is also evidence that being in nature and surrounded by green scenery reduces stress levels (28). Key Point: Work is essential, but it isn’t the most important thing in life. Red meat is one of the most nutrient-dense food sources in our diet. For instance, meat is a significant dietary source of B vitamins, iron, zinc, protein and the ‘master antioxidant’ glutathione (29). Due to fears over the health effects of red meat, our intake has been plummeting over recent years. However, many of the concerns about red meat are overplayed. For instance, the negative studies we often hear reported are from epidemiology, and vegan activists heavily promote them. Often, these studies don’t differentiate between a piece of steak and a cheeseburger with fries and cola. On the other hand, how about if we look at actual clinical studies? Well, a recent systematic review of 25 randomized, controlled trials demonstrated that greater consumption of red meat has no adverse effect on cardiovascular risk factors (30). Key Point: Since it is so rich in vitamins and minerals, including red meat in the diet contributes a lot to our nutrient intake. 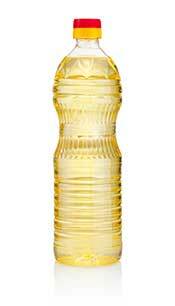 In modern times, most people are consuming excessive omega-6 fatty acids from vegetable oils. 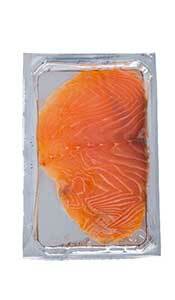 At the same time, the general public doesn’t eat enough oily fish. The net result of this is that we have far too much omega-6 in our cells, and not enough omega-3. Although omega-6 is known as an essential fatty acid (EFA), it is pro-inflammatory, so too much can be harmful (31). Omega-3 is the opposite, and it plays an anti-inflammatory role in the body. Therefore, having a significant omega-6 to 3 imbalance can potentially predispose us to many inflammatory diseases and even depression (32, 33). Limiting omega-6 vegetable oils is important. We should also try to consume omega-3 fatty acids several times per week. Key Point: Regularly consuming oily fish is an easy way to stay healthy and improve mood. Foods rich in phytonutrients such as berries, cocoa, coffee and green tea offer a range of health benefits. However, it is important to dispel the myth that they act directly as antioxidants. Recent studies discredit the idea that polyphenols have any pronounced effect as direct antioxidants inside the body (34, 35). Although studies don’t support a role as an antioxidant, phytonutrients do appear to promote good health through other mechanisms. More research is necessary on the exact mechanisms of how polyphenols may work, but we do know that they have specific benefits. For example, randomized controlled trials show beneficial effects such as reduced blood pressure and lower levels of inflammation (36, 37). Researchers hypothesize that polyphenols and other phytonutrients may influence signaling pathways related to inflammation (36). Also, consuming foods high in vitamins and minerals is one of the best ways to improve health, and phytonutrient-rich foods are often very nutrient-dense. Key Point: We shouldn’t think of phytonutrients as ‘antioxidants’ but they do appear to have health benefits. As we can see in the above graph, some people eating large amounts of salt may have very low blood pressure, and vice-versa. The reason for this is that there are so many confounders to consider. Other factors such as BMI, sugar intake, stress, and genetics all play a contributory role in blood pressure (37, 38, 39). Despite this, much of the media attention is on restricting salt, and it is easy to get the impression that we should just avoid it altogether. This isn’t true though; salt is an essential electrolyte and consuming too little can be just as bad as too much. For instance, excessive and insufficient sodium intake both increase the risk of cardiovascular disease (40). An easy tip for healthier salt intake is to restrict ultra-processed foods, which are the predominant source of salt in most peoples diets. Instead, salting homemade food to taste is an easy way to get an adequate, but not an excessive amount. Similar to what our great-grandparents used to do. Key Point: Excessive amounts of salt are harmful, but so is too little. Therefore, it comes as no surprise that supportive social and family relationships are essential to our overall health. Close relationships in our lives don’t only provide interactions and shared experiences, but they also improve activity levels, health behaviors, and even lower mortality risk (41). On the contrary, loneliness has strong links to depression, elevated blood pressure, and increased mortality (42). Think of the best memories in your life – were you alone at the time? Key Point: Strong family and social relationships make us act, feel, and actually be healthier. One of the major steps to better health is to reduce consumption of refined carbohydrates and processed fats. Replacing these with protein can help us to be more healthy. Protein has all sorts of benefits ranging from improvements in body composition to higher levels of satiety (43, 44). Protein is also involved in dozens of processes in the body, helping to build and repair our bones, cartilage, skin, and muscles. Compared to sources of carbohydrate and fat, protein tends to be extraordinarily nutrient-dense and offers far more nutrients per calorie. Despite this, there is a misplaced fear that it is easy to consume “too much” protein. However, a recent study shows that a daily protein intake of over 3 grams per kilogram of body weight, for a period of one-year, improves lean mass. This higher intake also did not negatively impact any markers of health (45). Key Point: A larger intake of protein may provide several important health benefits. There is a tendency for many people to avoid the sun, born out of fears over aging skin and skin cancer. While we should always take care not to burn, sunlight is crucial for human life. The sun provides vitamin D, an impressive “vitamin” that is more of a hormone. Markedly, higher circulating levels of vitamin D are associated with a reduced risk of cardiovascular disease and several cancers. Additionally, those with more vitamin D in their blood have better outcomes from these conditions (46, 47). Vitamin D researchers suggest up to 30 minutes of sun exposure between 10 a.m and 3 p.m at least twice a week. Key Point: Getting some of the “sunshine vitamin” seems to be one of the simplest ways to get healthy. However, we should always take precautions not to burn. In recent times the fear of fat is gradually subsiding, and fat is firmly back on the menu. Fat plays an assortment of roles in the body, and it is involved in immunity, cellular signaling, hormone production and nutrient absorption. As part of a healthy eating pattern, fish, nuts, avocados, olives, seeds, dairy, and meat all offer useful sources of dietary fat. Eating these foods is a great healthy habit to adopt. Additionally, cold-pressed fruit oils such as avocado and olive oil are some of the healthiest fats we can eat. Key Point: It is a good idea to stay away from industrial fats, but there is nothing to fear from natural, healthier options. While no intervention guarantees good health, it is important to understand how diet and overall lifestyle affects our body. There are many ways to improve our health, and the ideas listed in this article offer simple first steps to a healthier life. Hyperinsulinemia: the World’s Biggest Killer?